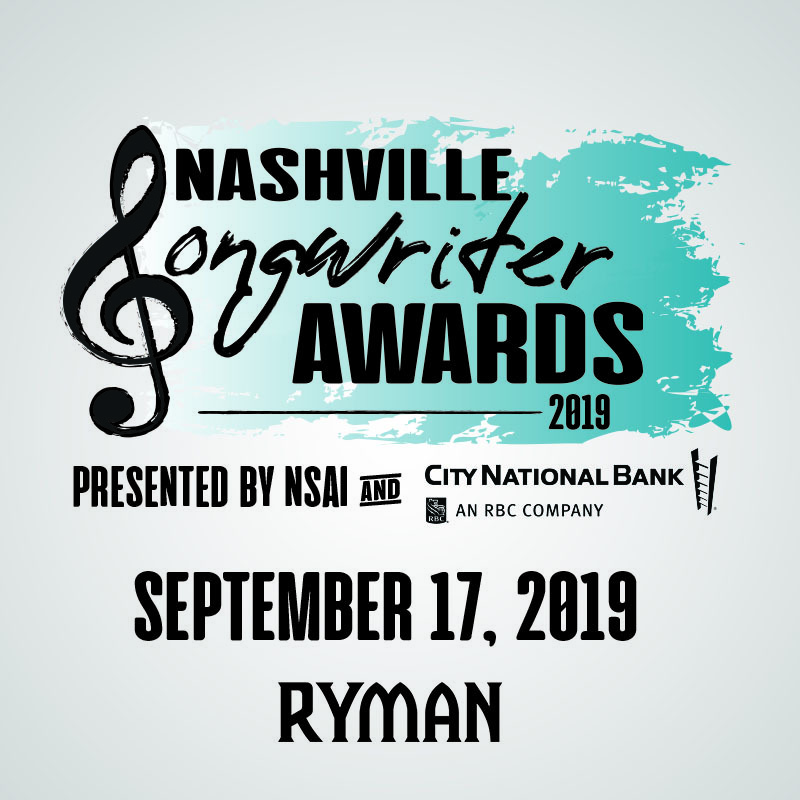 Nashville, Tennessee (January 22, 2019) – The Nashville Songwriters Association International (NSAI) has announced that its Nashville Songwriter Awards presented by City National Bank will return to the Ryman Auditorium in 2019. The star-studded evening is set for September 17, 2019, and if initial award winner announcements are any indication, the event will be one not to miss. This will be the second year that the Nashville Songwriters Association International will present its awards at the Ryman Auditorium boasting a sell-out event in 2018. Loretta Lynn has long been established as the undisputed Queen of Country Music, with more than 50 years of recording and touring to her name. A self-taught guitarist and songwriter, Lynn was one of the most distinctive performers in Nashville in the 1960s and 1970s. She shook up Nashville by writing her own songs, many of which tackled boundary-pushing topics drawn from her own life experiences as a wife and mother. "Coal Miner's Daughter," "Fist City" and "Don't Come Home A' Drinkin' (With Lovin' on Your Mind)" are just three of 16 country No. 1 singles. Lynn is also one of the most awarded musicians of all time. She has been inducted into more music Halls of Fame than any female recording artist, including The Country Music Hall of Fame and the Songwriters Hall of Fame, and was the first woman to be named the Country Music Association's Entertainer of the Year in 1972. Lynn received Kennedy Center Honors in 2003 and a Presidential Medal of Freedom in 2013. In 2015, she was named recipient of Billboard's inaugural Women in Music "Legend" Award. Lynn has won four Grammy Awards (including a Grammy Lifetime Achievement Award in 2010) and sold more than 45 million records worldwide. In 2013, the National Conference of State Legislatures gave Sen. Alexander and three other senators its “Restoring the Balance” Award for protecting states’ rights, the first time in 10 years the organization gave this award to U.S. senators. Alexander, a seventh-generation Tennessean born and raised in Maryville, was twice elected governor of Tennessee. He has always believed that in most cases the best decisions are made by those closest to the people. Today, Alexander chairs the Senate Health, Education, Labor and Pensions Committee. Alexander is also chairman of the Senate Energy and Water Development Appropriations Subcommittee, where he works to boost funding for basic energy research and invest in our inland waterways and harbors. Alexander was first elected to the Senate in 2002 and has been re-elected twice. His Republican colleagues elected him three times to be chairman of the Senate Republican Conference. He has previously served as president of the University of Tennessee and as U.S. Secretary of Education under George H.W. Bush. A classical and country pianist and the author of seven books, Lamar Alexander and his wife Honey have four children and nine grandchildren and a dog named Rufus. With $50.3 billion in assets, City National Bank provides banking, investment and trust services through 71 offices, including 19 full-service regional centers, in Southern California, the San Francisco Bay Area, Nevada, New York City, Nashville, Atlanta, Minneapolis and Washington, D.C. In addition, the company and its investment affiliates manage or administer $67.5 billion in client investment assets. City National is a subsidiary of Royal Bank of Canada (RBC), one of North America’s leading diversified financial services companies. RBC serves more than 16 million personal, business, public sector and institutional clients through offices in Canada, the United States and 34 other countries. Established in 1967, the Nashville Songwriters Association International (NSAI) is the world’s largest not-for-profit songwriters trade organization and has a membership of more than 5,000 spanning the United States and eight (8) foreign countries. Consisting of a body of creative minds, including songwriters from all genres of music, professional and amateur, for over 50 years, NSAI has been committed to protecting the rights and future of the profession of songwriting, as well as carrying a commitment to educate, elevate and celebrate the songwriter, acting as a unifying force within the music community and the community at large. For more information, visit nashvillesongwriters.com.